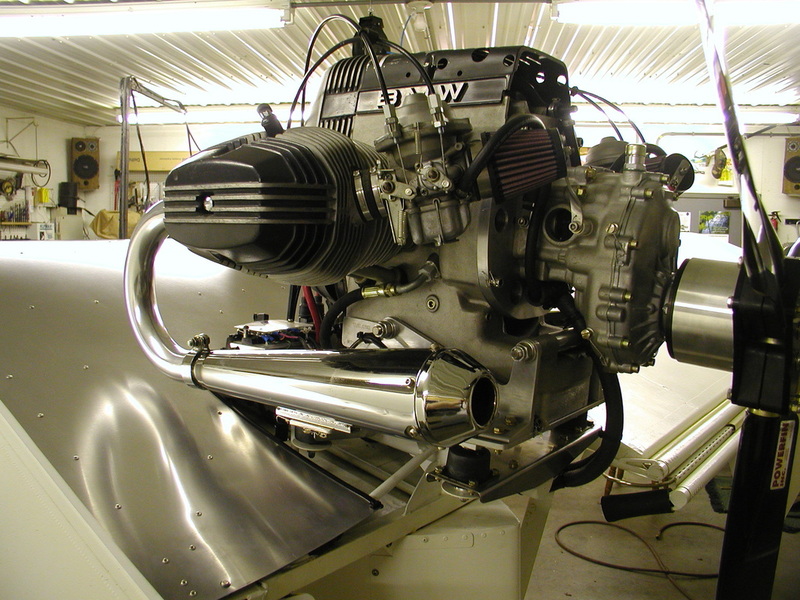 Seeing how many of the early Flying Fleas used motorcycle engines, and how much I like twin-opposed cylinders, I read up on BMW engine conversions to aero use. 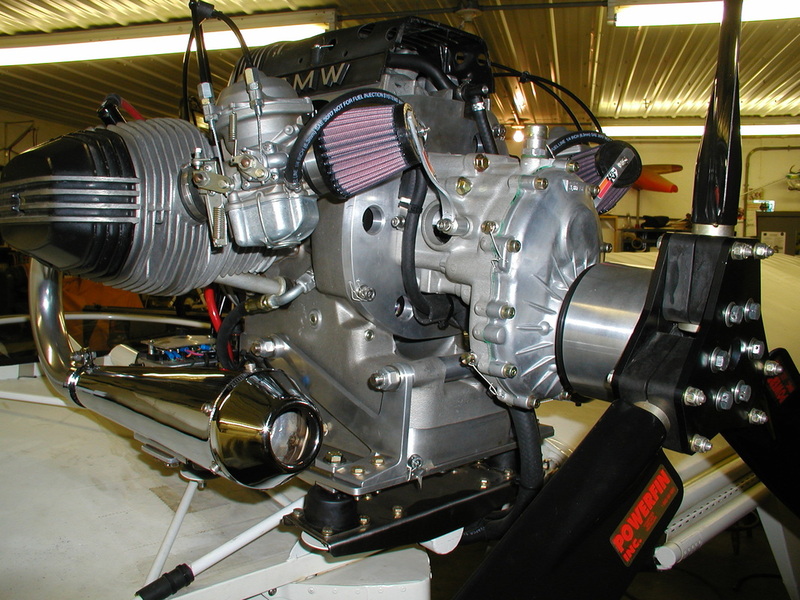 Apparently many had been converted, the engines are highly reliable, and will readily accept a field-proven Rotax redrive for rpm reduction. I read up on twin ignition mods that add a spark plug per cylinder and increase the horsepower from 65 to 70 and ultimately found an engine for sale, and already in use on a Kolb. Though it is currently in a pusher config, I figure I'll either have the prop carved to turn the other way than standard, or I'll change the cam in the engine and have the prop spin as per standard rotation. 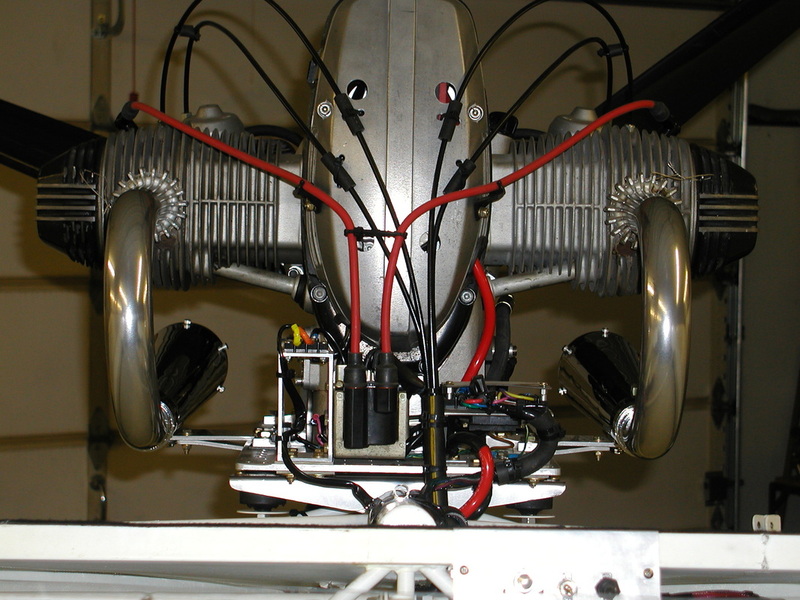 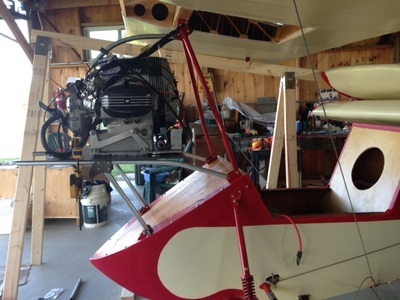 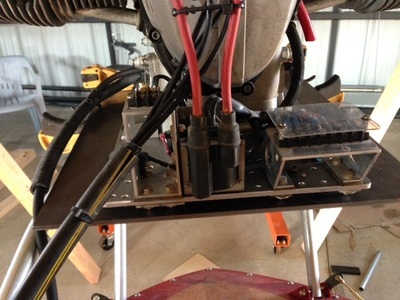 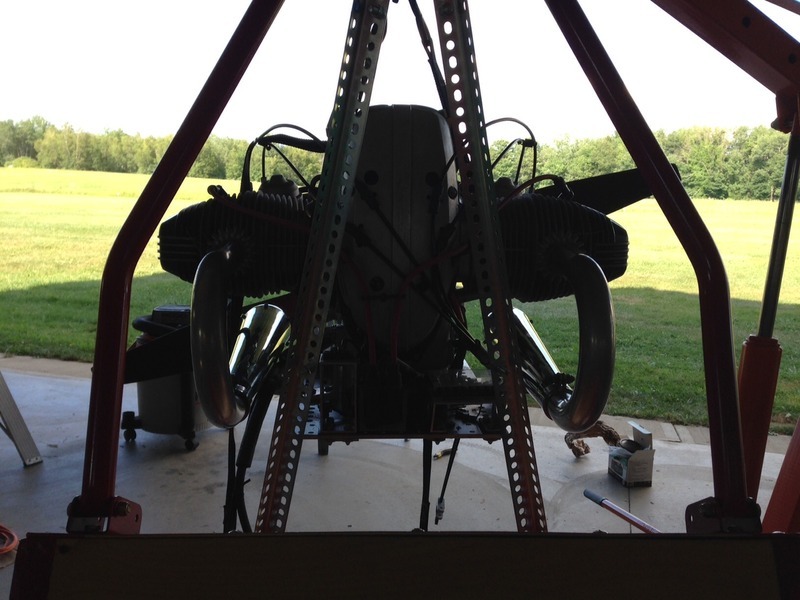 Here are some photos of the engine on the Kolb- as you can see, it looks new! 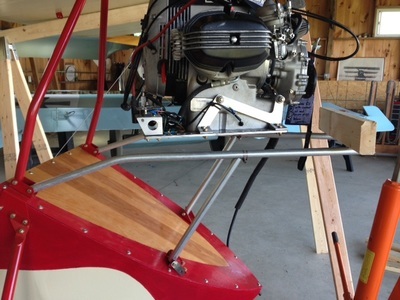 The 3-bladed composite prop is NOT going on the HM-14, and the exhaust will need to be turned around and directed away from the cockpit (cough-cough). 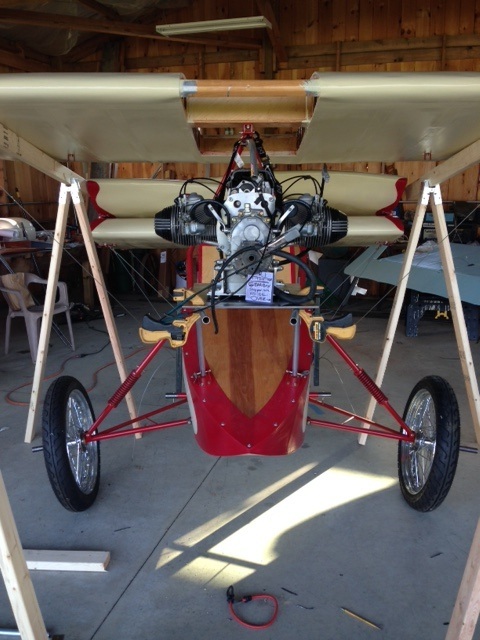 I've mocked up an engine mount on the HM-14 and will next commit it to reproduction in 4230 tubing.